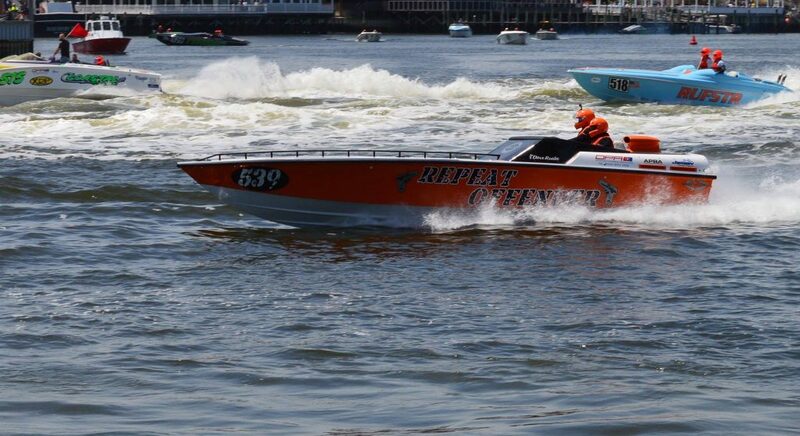 The Ocean County Prosecutor’s Office said a racing boat carrying two crew members, one of whom died and one who is critical condition, was “at fault” in the fatal accident that occurred at the Point Pleasant Beach Offshore Grand Prix on Sunday. Battling large swells above four feet, the Repeat Offender, for reasons still unknown, crossed into the path of the Smith Brothers boat, a 26-foot Joker racing boat. The race, an early event for small boats, ended with the crash, in which Repeat Offender throttleman David Raabe, 38, of Forked River, lost his life. James Byrne, 35, of Nutley, the navigator, sustained a critical head injury and was transported to Jersey Shore University Medical Center, where he remains unconscious and unable to speak with investigators, said Al Della Fave, spokesman for the prosecutor’s office. The crew members of the Smith Brothers boat, throttleman Richard Smith, 53, of Souderton, Pa., and navigator Peter Smith, 50, of Riverton, were ejected into the water but refused medical attention. Though both brothers refused medical attention they were transported to Ocean Care Center where both consented to providing a blood sample, said Della Fave. Both Smith brothers also provided a taped statement at the Point Pleasant Beach police headquarters. The prosecutor’s office is the lead agency investigating the crash, along with the Ocean County Sheriff’s Department CSI unit. The Repeat Offender is being stored at the U.S. Coast Guard station in Point Pleasant Beach. It is not known whether crews will attempt to raise the Smith Brothers boat from the ocean floor.